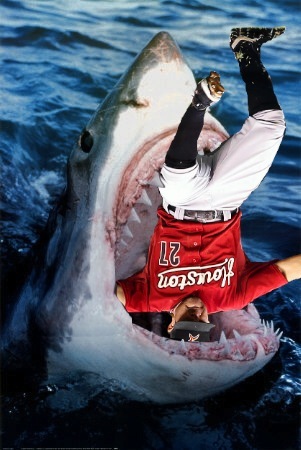 The Shark and the Nationals kick off a series against the Houston Astros tonight and Sharkadina will be there watching. 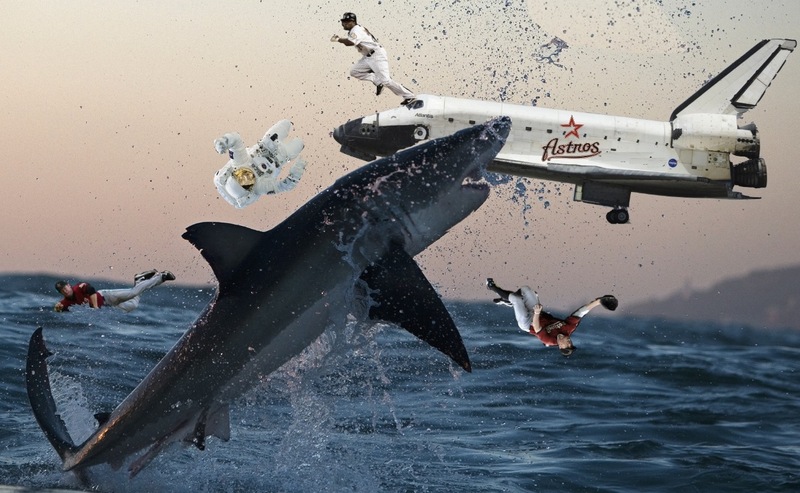 We probably all remember what happened to the Astros last time they battled the Shark. This time, I predict the the encounter will be a little less subtle. In his career, the Shark is batting .250, with 4 runs, 4 RBIs, and 3 stolen bases against the Astros. With a right handed pitcher starting for Houston, it would be wise of Davey Johnson to use the Shark to devour the Astros. A run for The Shark! You guys made it happen!